I decided to redo my eyebrow shape sometime this year.. because... new year.. new brows! Nahhh, I kid! 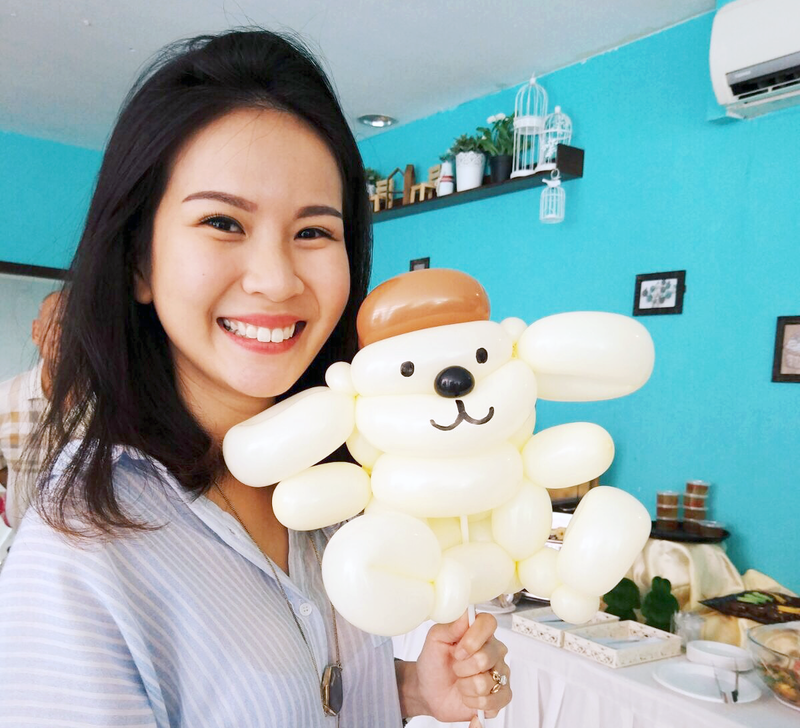 In reality, what happened was that I've recently done a double eyelid suture surgery, and my eye shape became slightly different (you can read more about my double eyelid story here: https://dayre.me/samanthajoy/5ysPssej2i). Last time, with my inner double eyelids, my eyes were smaller and slightly straighter. Now they're rounder - thank goodness! - and hence the straight-ish eyebrow shape from my previous eyebrow embroidery didn't suit me so well. I wanted something A LITTLE different, just more rounded towards the ends with a gentle arch so I'd look less fierce! Moreover, I was starting to realize that my previous eyebrow shape looked a little off, not too sure why. Perhaps after the surgery, the suturing of my right eye required slightly more work, leading to an uneven eyebrow propotion (one high and one low) which I'll show at the lower part of this post. Fortunately! 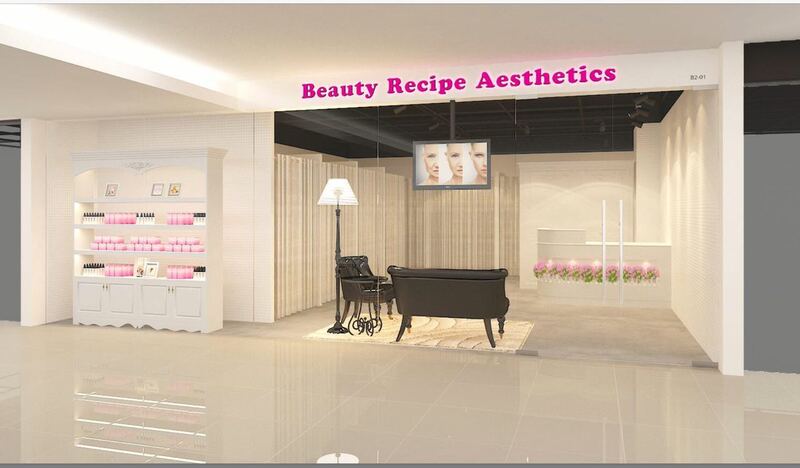 Jessie, the owner of Beauty Recipe, told me that she could not only alter and help CHANGE my eyebrow embroidery shape, she could also let me try out a new technique to give my eyebrows a softer arch and coloring! SUPER EXCITED. As you can already guess with the title, what I was going to do is called the Powder Gradient Eyebrow Embroidery. 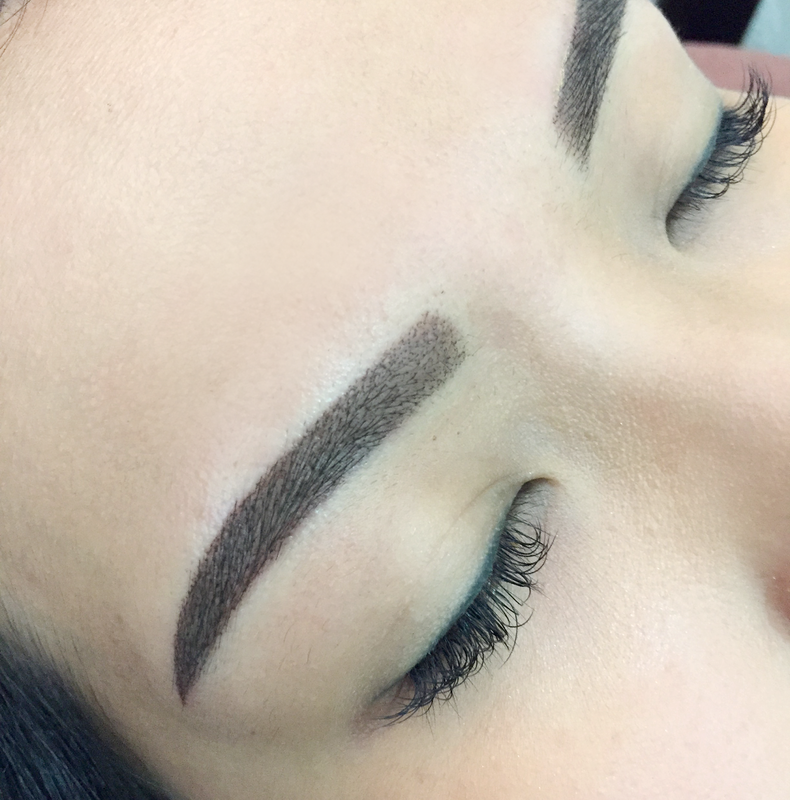 It's different from 6D Eyebrow Embroidery in a sense because it doesn't use a blade to get the color in. It is sort of "tattooed" in the way the old embroideries were done EXCEPT that it uses A LOT more skills, and for the therapist to be really deft with her hands. My eyebrow expert for the day was Khanh, and if you haven't already read, there's TONS of gleaming reviews for her on the Beauty Recipe Facebook. I felt very safe in her hands lol! Anyway, as I was saying, the color for this type of eyebrow embroidery can't go in as a patch as you've probably seen on numerous people before. The color MUST go in, as mentioned, in a gradient. You've probably seen a lot of "Instagram Brows" where the front is light and has hair strokes almost but the back is DARK and very defined - yupp something like that. However, my eyebrows this time required even more dexterity as I was not only trying to color them in but to reshape them. Above, on the top half of the collage, you can see, I tried to change my own eyebrow shapes by drawing the left side sort of arched but the right side went too high up and I couldn't create an arch there to "pull it down". 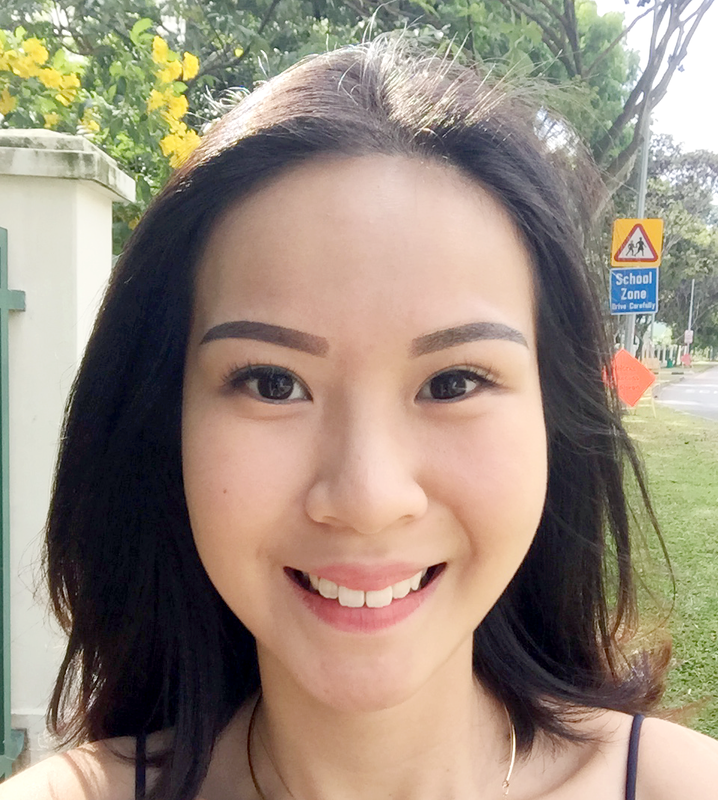 I attribute this, as I mentioned, to my double eyelid surgery as my eyebrows were perfectly fine and even before that. The eye on that side has more skin and thus, to create the parallel lid at the front, had to be pulled downwards more. I'll be honest and say that I was hesitant and a little disbelieving when Jessie said that her eyebrow expert could make both sides even. I was sort of thinking... okay so do I need to do a laser or?? Jessie said that they could use a skin colored ink to, in a sense, embroider over the parts where the eyebrow "got out of shape. I was even worried that the skin color wouldn't match mine and it would look really fake and patchy... but I WAS WRONG. It was.. undetectable even! Sorry for the quality - this was taken with my phone! I was SO impressed with what Khanh had done that I JUST HAD TO TAKE A PHOTO AFTER. I sent it to Jessie straightaway and GUSHED about her! I really really couldn't believe I finally had even brows after months of tolerating one of them being so much higher. #firstworldproblems. Here's the peeling process. By Day 3, most of it had peeled off already, especially the front. Those who do the Powder Gradient embroidery will notice pretty quick peeling, often within 2-3 days: so do not be alarmed if you experience this. 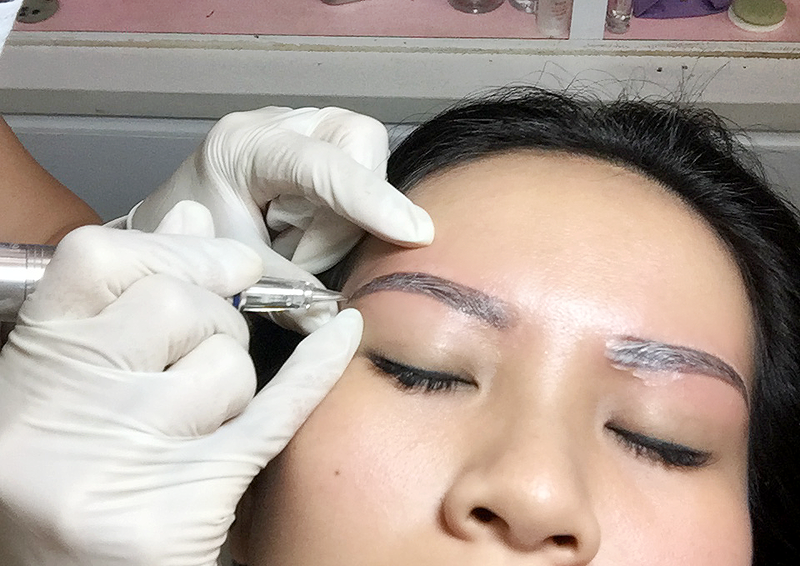 The thing about Gradient Eyebrows, or what was told to me, is that due to the technique if it being tattooeed in, the color RIGHT after the treatment isn't as dark and the eyebrows won't look as thick as it would be after microblading (6D embroidery). However, unlike 6D eyebrow embroidery, the color remains strong at a 70-80% of the original shading after peeling - whereas the color for a 6D embroidery would only be about 50% strong. In total, both have their perks though as the 6D embroidery can emulate hair strokes whilst the Gradient embroidery is more of a powdery makeup finish. It's really up to each person's taste. Anyway, both treatments come with a free touch up, so don't worry too much about the fading. You can even opt to do BOTH 6D and Gradient at the same time depending on the areas (eg. front with hair strokes and back with the gradient shading)! Amazing right! 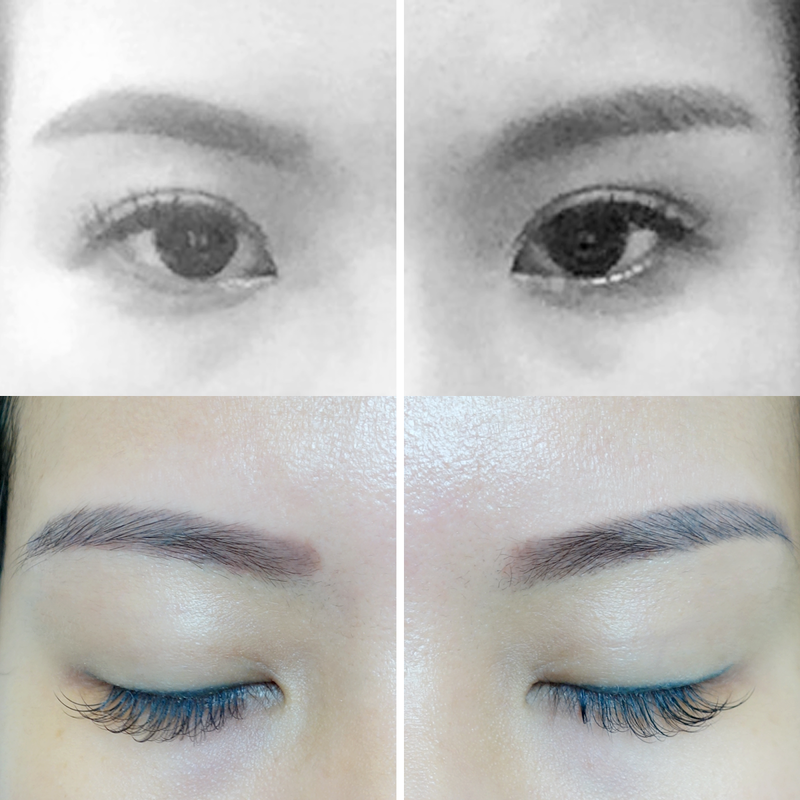 Just in case you're wondering why my gradient brows aren't as obvious (from light to dark), it's also because I had previous eyebrow embroidery done before and my front was still dark. If you're doing this for the first time, the results are a lot more obvious! If you're also someone who's doing the Powder Gradient on top of a previous embroidery, you could perhaps just ask for the darkening of the tail area. Regardless, I was super pleased with the whole process and final result. Like, VERY VERY happy. It was painless as usual, I occasionally checked my phone and chatted with Khanh every now and then. I think at one point I even fell asleep. If you're looking for a complaint, I've got none. Beauty Recipe, Jessie, and all the amazing eyebrow experts there never fail to amaze me and brighten my day. Thank you so much! 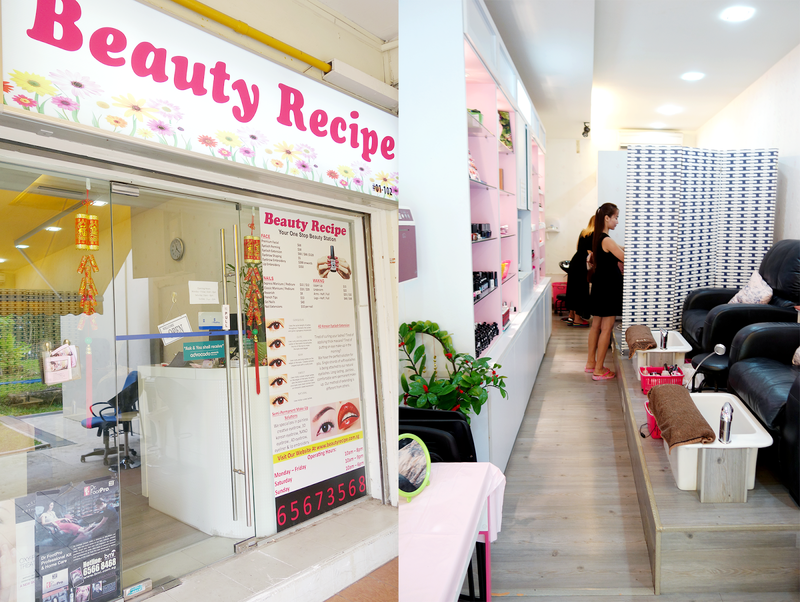 For those who wish to have Khanh do their brows for them, do head to Beauty Recipe in Jurong East instead of Parkway. 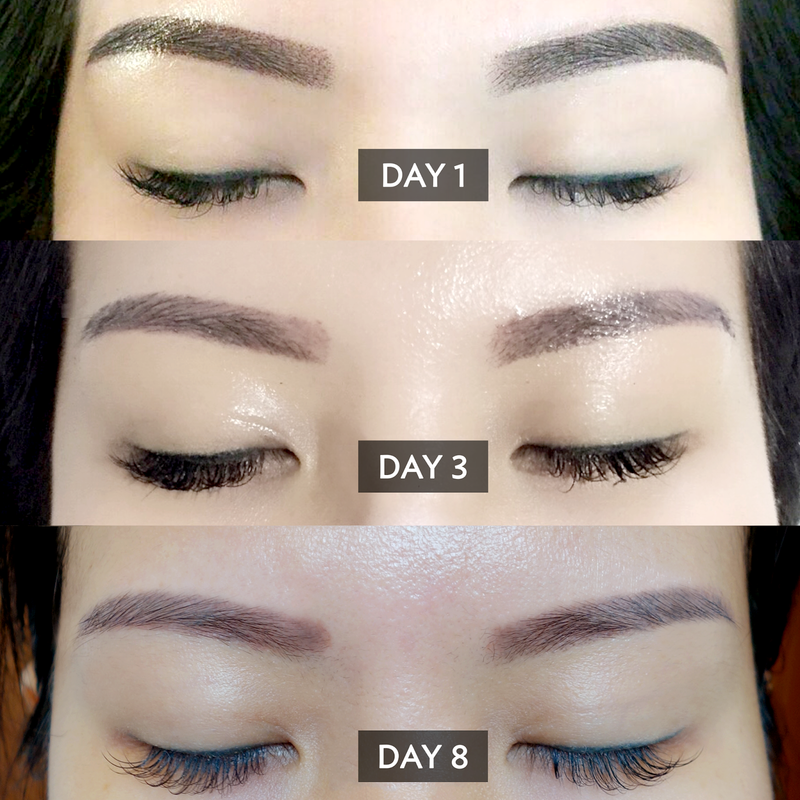 TO GET YOUR OWN POWDER GRADIENT EYEBROW EMBROIDERY DONE AT ONLY $588 (U.P $1288), SIMPLY QUOTE "SAMANTHA BLOGGER" WHEN YOU CALL OR WHATSAPP 98593982 FOR AN APPOINTMENT.